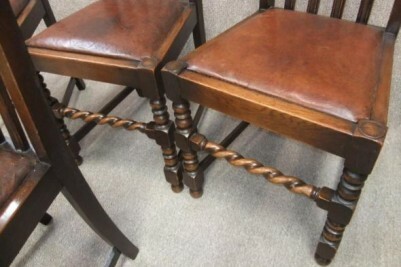 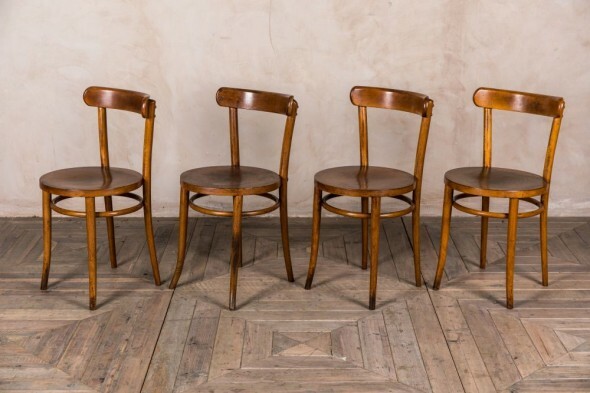 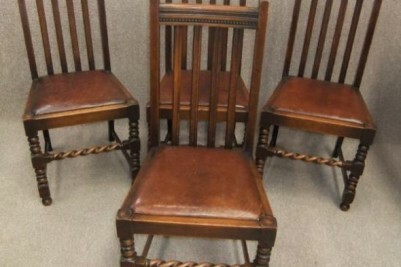 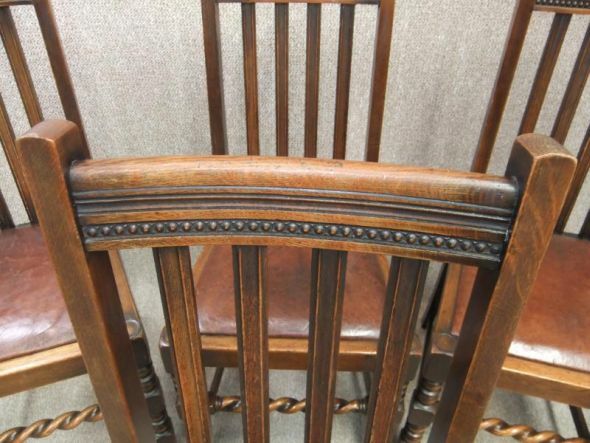 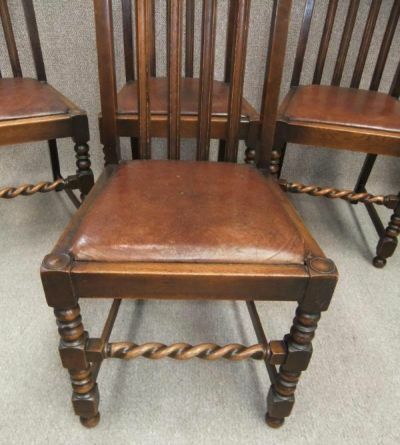 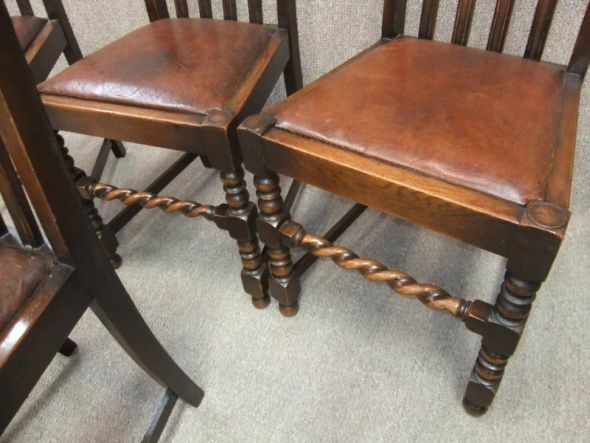 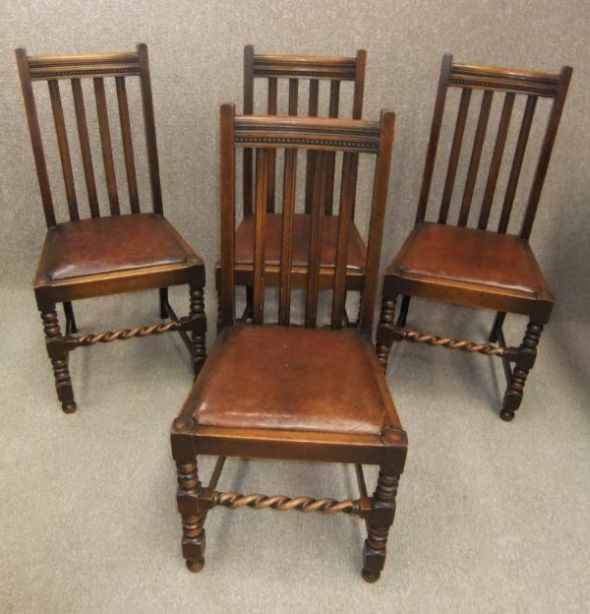 A magnificent set of four circa 1920, classic English oak barley twist dining chairs. 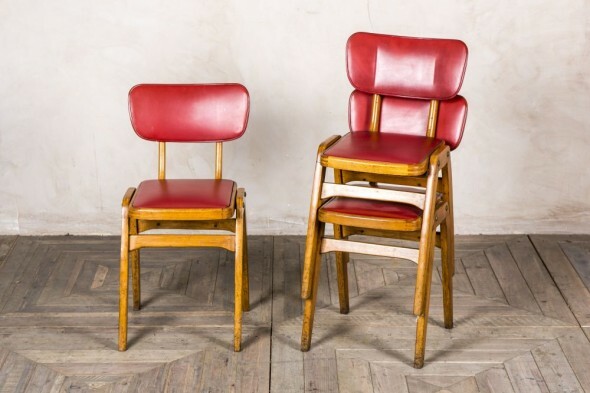 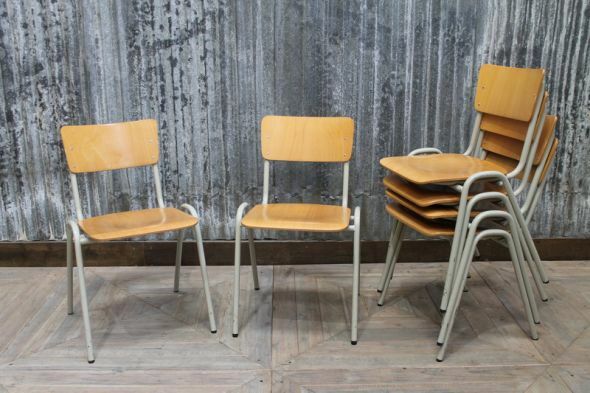 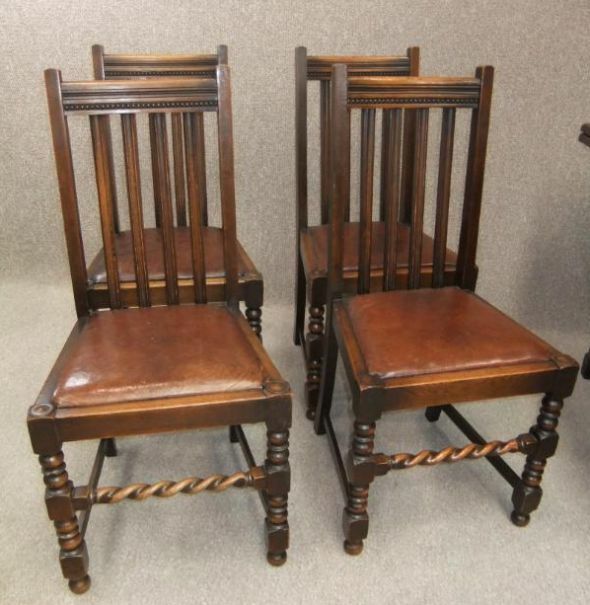 Featuring a simple yet stylish back design, leather upholstered drop in seat pads, and barley twist cross stretchers, these barley twist chairs are in excellent condition for their age. 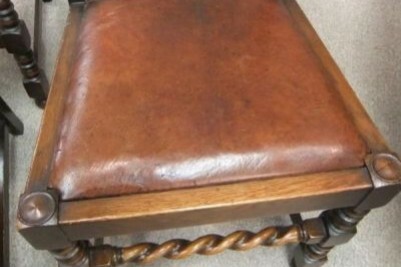 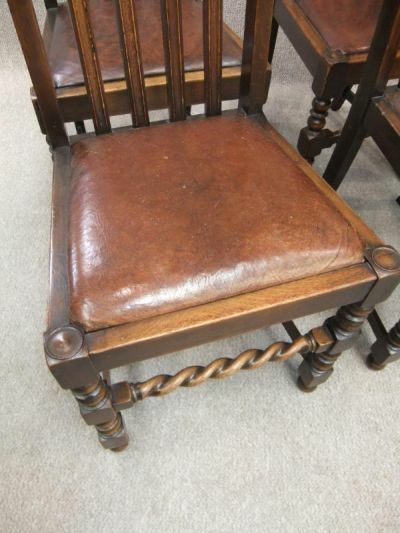 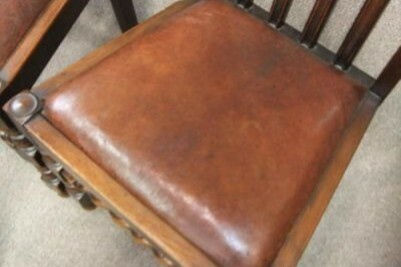 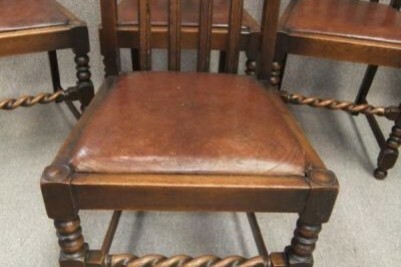 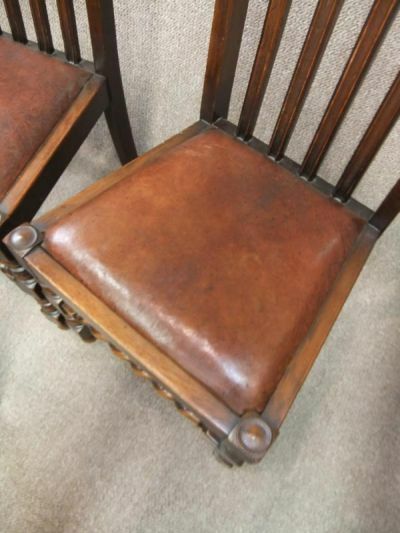 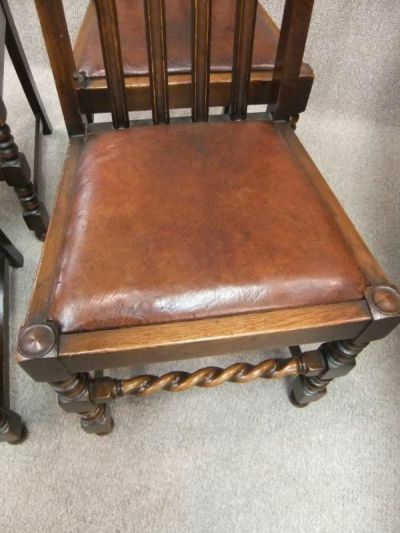 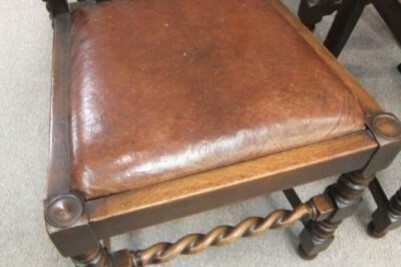 All seat pads are in a lovely brown worn leather, giving a real period appearance. 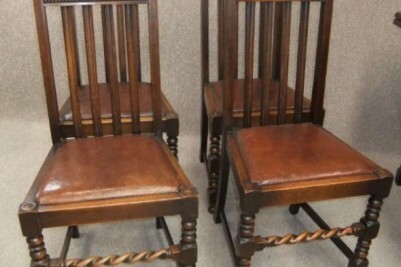 Ideal for any small country cottage, or period interior.